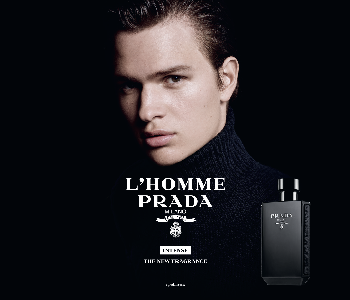 Prada L’Homme Prada is a fragrance for all men, with an intimate and profound character. An olfactory map that takes its wearer on a journey through time, space and memory. The enveloping fragrance brings together the rich traditions of Prada with a modern, experimental aesthetic. Textural, layered and arresting, it encircles the body like a classic Prada suit. Core elements of iris and amber meet with juxtaposing touches of neroli, geranium and patchouli for a sophisticated and highly sensual fragrance experience.